A St. Louis jury recently ordered Johnson & Johnson to pay 72 million dollars to the family of a woman who died of ovarian cancer. The woman had used Johnson’s Baby Powder for years. 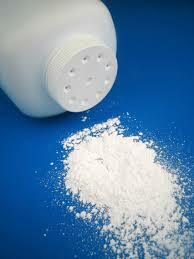 The jury concluded that the talcum powder was a substantial factor in causing the ovarian cancer. The jury concluded that Johnson & Johnson was liable for negligence, conspiracy and failure to warn women of the potential risk of using baby powder in the genital area. More than 20 epidemiological studies have found that the long term perineal talc use increases the risk of ovarian cancer by about 33 percent. Ovarian cancer is among the most deadly cancers. More than 1,000 women and their families are suing J&J claiming that the company has known of the association with ovarian cancer for years and yet has failed to warn their customers. Sabatini and Associates has filed a lawsuit on behalf of our client for injuries sustained as a result of defective metal-on-metal DePuy Pinnacle Hip Replacements. The product liability lawsuit was filed in federal court in the district of Connecticut. The lawsuit claims that the Pinnacle hip devices have caused the client to develop elevated cobalt and chromium ion levels in her bloodstream and that the devices have failed resulting in the need to undergo revision surgeries. According to the U.S. Consumer Product Safety Commission, over 35,000 table saw users are injured every year. Many of the injuries are caused by kickback, when a piece of wood being cut closes and snags on the back of the spinning saw blade causing the wood to fly back toward the user. The kickback of the wood causes the user to lose balance and in many cases resulting in a finger, hand or arm coming into contact with the blade. The blade contact causes severe injuries including amputation. These injuries can be prevented through safety technology. One, SawStop technology is a safety feature where the saw detects flesh and stops the rotating saw blade upon contact with human skin. Two, Riving Knives are metal pieces attached behind the exposed blade that rise and fall with the blade. The metal pieces keep the wood from closing an snagging the back of the rotating blade. Despite the availability of the safety technology, table saw manufacturers continue to balk at incorporating the technology in their products and thus, people continue to get seriously injured. Our Connecticut product liability lawyers are available to discuss defective product injury claims including those involving table saws. A Connecticut woman has retained the our attorneys to represent her in her surgical mesh injury case. After receiving the transvaginal mesh product, our client developed serious physical pain and other adverse symptoms. Her treating doctor determined that the mesh had eroded and needed to be surgical removed. The young woman has hired our lawyers to pursue a claim for damages against the manufacturer of the mesh. The lawyers at Sabatini and Associates represent women who have been seriously injured as a result of surgical mesh. We are presently accepting new cases involving surgical mesh. If you or a loved one has been seriously injured as a result of surgical mesh, we are here to help. Call our attorneys today at 860-667-0839 for a free consultation. An internal analysis performed by Johnson & Johnson in 2011 not long after it recalled a hip implant device estimated that the all-metal device would fail within five years in nearly 40 percent of patients who received it. Johnson & Johnson never released those projections for the device, the Articular Surface Replacement, or ASR, which the company recalled in mid-2010. But at the same time that the medical products giant was performing that analysis, it was publicly playing down similar findings from a British implant registry about the device’s early failure rate. The company’s analysis also suggests that the hip implant will likely fail prematurely over the next few years in thousands of more patients. If you or loved one has suffered serious injury or complications with a hip implant, call our attorneys today at 860-667-0839. The company’s analysis also suggests that the implant is likely to fail prematurely over the next few years in thousands more patients.